The District’s water meter upgrade project is 60 percent complete, with the remaining 40 percent to be finished by the end of this year. Through cellular technology, water meters can be read remotely, precisely and non-intrusively, and allows SFWD personnel the ability to more accurately record the water meter readings of every household and business within the District. If you have yet to have your meter upgraded, you will be receiving a letter from SFWD about the program. Saks Metering has been contracted to administer this program, and is continually in your neighborhood. Once notified, consumers can make an appointment by phone, email or online. 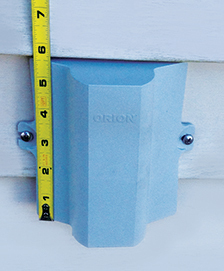 An adult must be home at the time of installation, which should take no more than 20 to 30 minutes, and may temporarily disrupt water service. 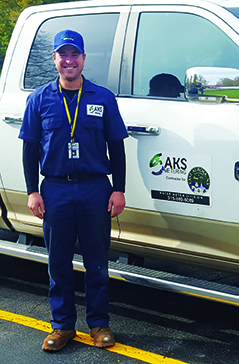 Security is a top priority for South Farmingdale Water District, and authorized installers from Saks Metering will have appropriate photo and badge identification, uniforms, and car signage clearly indicating Contracted by South Farmingdale Water District. APP will be mailed to your home shortly.